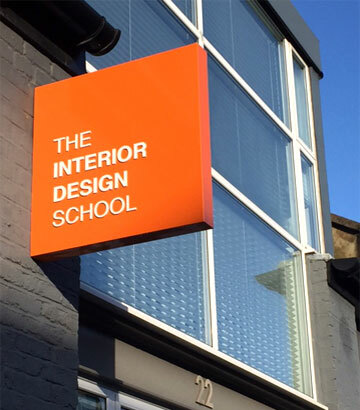 Top 10 Interior Design Schools around the World, Interior design is one of the best courses in design that there is. It is amazing what knowledge can do to transform a space and make it breathtaking. This is what knowledge and skills in interior design do. We live in an era where interior design is the ‘in thing.’ Everyone is always looking forward to having their property converted into a more modern or contemporary environment. For this reason, there is a rise in the number of interior designers. These interior designers have set a trend in the society. This makes it easy for upcoming interior designers to land on their feet after graduating. It is important to note that it is vital to have the best institution nurture your talent. By enrolling at any of the following top ten interior design schools around the world, your talent will be developed. These schools keep proving that they are more than capable of turning any talent into a commission-earning asset. With their robust learning environments and the qualified faculty, success is assured. Therefore, any upcoming interior designer should enroll at any of the top ten interior design schools around the world. It is only through these institutions that they can be turned into successful professionals. New York School of Interior Design is one of the few best schools we have in the world and it is well liked. It has been able to produce individuals in the design world that are assets to the ever growing and ever changing world. Interior design is an art that evolves with the newness of information and preference. Over the years this school has given birth to numerous designers after graduation. In 2014 and 2015, the rate of job placement rate for their graduates was at 92% and 95% consecutively. This is a great show of the quality individuals they produce. It is only an excellent school that achieves this. The school also offers an excellent curriculum that accommodates the needs of the students with all their diverse personalities. The students are involved in many projects which they use to rebuild communities that are struggling. They also get to have activities like trips to enhance their skills. Dublin Institute of Design is located in Ireland. It offers a number of design courses one of them being interior design. Their course module is excellent and student centered. The knowledge imparted to the students help them to venture into different areas of interior design. You can venture into renovations for both residential and commercial properties, façade design, hotel design, sustainable design, and more. The list of probabilities is endless. The institution always places an importance on the use of use of up-to-date technologies. This keeps their students updated and current which is a competitive advantage for them. The faculty is also the best there is as they are experienced and practical in their teaching. The curriculum covers a lot and in as much as the course lasts for three, the value of the information and skills gained is precious. Students also interact with the great interior design personalities. This gives them exposure. The University of Technology Sydney offers their interior design course under the name Bachelor of Design in Interior and Spatial Design. However, in 2018, the university will be renaming the course to Bachelor of Design in Interior Architecture. That aside, the department will still serve the same purpose. This purpose is to equip students with massive knowledge that will help them carve a niche for themselves in the interior design sector. Students are taught to go deeper and beyond the stipulated and set boundaries of the current interior design market. This way, their unique approach can set them apart from the rest f the students. Their students are imparted with knowledge to deal with city environments and public spaces. The technology used to teach in innovative and always the latest. Students take part in research and practice thus sharpening their skills. They also interact with pros in the sector thus exposing them. By the end of a study period, students are always well seasoned and ready for the real world. The course offered is Bachelor of Arts in Interior and Spatial Design. This college will always provide the students an environment that supports their skills and capabilities. Through their numerous projects, students sharpen their skills. The institution focuses on giving student projects like architectural interiors, furniture design, installations, and also sensory environments. All these projects help in sharpening the skills of conceptualizing and designing of different kinds of spaces. The modules of learning include workshops, group works, lectures, tutorials, just to mention a few. There are also numerous of seminars that students attend to give them further exposure. The institution offers design studios that mimic the real working environment. This way, students know exactly how the real world works. In the period of study, students learn about furniture, orthographic design, interiors, model making, exhibition design, computer aided design (CAD), and so much more. All these are aspects that are very vital when it comes interior design. Here, the course is offered under the name Interior Architecture. This course typically equips the student with an ability to transform an already existing building in a stylish and trending way. The school gives the students an upper hand in the society by focusing on innovative approaches. It strives to provide an advanced design studio where by students are exposed to a working environment that is superior. The institution employs both digital means and manual means for research. From there, students can make recommendations for alterations that need to be done as well as the renovations needed. The curriculum imparts students with knowledge that can help them with domestic designs, retail designs, and theater designs among others. They are also imparted with knowledge and wisdom to deal with conservative requirements and preservative requirements. This means that their students can take care with all kind of needs. This institution is well liked by many people and equally preferred by many others. 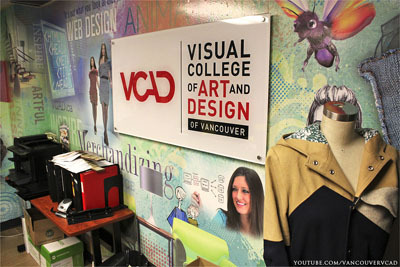 As a school that offers design courses, the Visual College of Arts and Design has outdone itself in providing quality education. This is a school that has an understanding of how space, design, and lighting can affect people. These three elements mainly affect the way a person’s mood to say the least. That is why they equip their students with design skills so that they can invest in the joy of other people. The institution takes time to develop the skills of the students through the numerous projects they take part in. this helps to complement their creative visions making them successful in their endeavors. Students are taught all about interior design principles, space planning, color theory, and the use of the industry-standard software. For this course, the institution ensures that all technologies used are the latest. After graduation, one can venture into planning, project consultation, interior design, or design consulting. Other than that, with their portfolio of projects undertaken, they will be able to sell themselves after graduating. 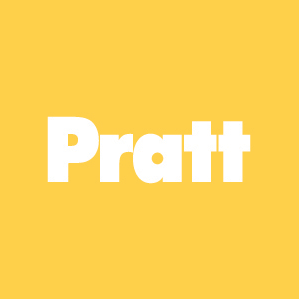 The Pratt Institute School of design offers robust facilities for their students. For this reason, the department of Interior Design is nothing less than excellent. The learning environment is exquisite and provides the students with an engaging and accommodative environment. Over the years, the alumni have made great contributions to the interior design trends we have in the world. It is no secret that people credit the beginning and development of interior design started here before it spread to all of the United States. For this reason, their track record is untainted. This university puts into perspective the use of texture, color, light, space, and material to impact the people’s spirits. The institution makes use of design studios to teach as well as lectures, group works and so on. They also carry out research and participate in design projects. The curriculum uses multidisciplinary means to impart students with all kind of knowledge relevant for their skills and talents. This university will offer Bachelor’s Degree as well as Master’s Degree in interior design. 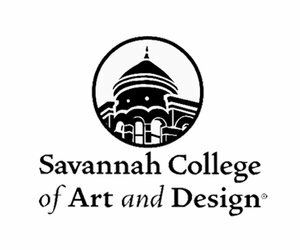 According to Disignintelligence, Savannah College of Arts was ranked position one (2016) for offering top undergraduate and graduate programs in interior design. This is a prestigious achievement and especially because it has been so for the fifth time now. An institution cannot earn such recognition by being mediocre. This is why this institution is one of the most excellent when it comes to interior design. This university offers a project called SCADpad which is a micro-housing project. This project has helped a lot of their students to gain international recognition. This shows that the school provides a great experimental environment that is engaging. As an institution, they teach innovative thinking, critical thinking, and also collaborative working environments. With the excellence in their teaching and thus producing quality professionals, it is only fair that the institution gets the acclaim it gets. This school of design aims to produce individuals that are skilled and can create comfortable and beautiful homes for themselves and millions of people all over the world. Remember, a house is not a home until it has a personal touch as well as memories. All these coupled up with loved ones makes a great home. As an institution, they strive to grow individuals that give you the home you need. Their students also undergo training by the best people in the interior design field. The mode of teaching involves the use of design studio. All aspects of interior design like textile, construction drawing, and even lighting are covered at the university. Putting all the knowledge, one gets together results in qualified and capable individuals. The institution has invested in learning materials as well as developing an environment that is inspiring, engaging, and collaborative. You can find this Academy in Italy. It is one of the most esteemed institutions we have in Italy. The university is also acclaimed all over the world for the excellence in their education modules. After enrolling in the institution, one can either take the one year course, the two years or the three years course. This institution has done a great job in ensuring their design studios are up to date. The technologies used are also up to date and up to industry-standard. The students also get training on how to create personality in a room by playing around with materials, furniture, color, light, shape, and more. All these makeup for a perfectly executed interior design process. The faculty is also well trained and professionals in the field. They give the students an upper hand with the kind of information they offer. In conclusion, anyone can agree that these institutions are indeed worthy of all the fees one will pay to study interior design there. Any student will be lucky to enroll in these universities because they will develop their talents. All the world’s renowned interior designers are graduates from these universities, and they have proved that what they learned was useful. In the same way, you can also get to enjoy the same benefits. All you have to do is give it a try.